Here you'll find some of my favorite pasta recipes. An Italian tradition for hundreds of years, pasta can be used everyday for a year without repeating a dish. I love the taste! I love the texture! I love the flavor! I love the versatility! 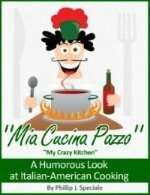 I love pasta and I definitely love these recipes. From basic spaghetti to stuffed manicotti to fettuccine alfredo, the variety of pasta recipes are endless. Sundays are always the traditional day for pasta. But of course it can be enjoyed any day of the week. Some of the greatest pasta recipes have been redefined over and over by many of the best chefs in the world. Cooks and diners alike may find the different shapes of pasta amusing and sometimes challenging to eat and prepare. There should be no short cuts when preparing these pasta recipes. Only the finest freshest ingredients should be used at all time. 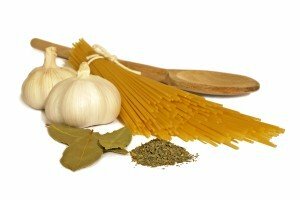 No jar sauce or powdered garlic could ever justify being used in an authentic Italian pasta dish. I shudder at the thought of such products being served to my guests let alone eaten by myself. Yes, I hate to admit it but I am a pasta snob. Pasta is always better fresh. Fresh pasta allows you to be a more creative by adding flavor and color, dry works just fine as long as you purchase the right pasta. Everyone should own a pasta maker even if you only use it a couple of times a year. It's always fun to get the kids involved when making fresh pasta. Though time consuming, it is well worth the effort. Pasta is basically made two ways. Classic pasta is traditionally made with flour moistened with eggs and sometimes oil or water mixed to form a dough to be rolled out and shaped by hand. The second type is made with just flour and water. Both types can be made by using a variety of different flours. When buying dried pasta make sure that it is made with 100% semolina flour from durum wheat. This just makes for a better quality pasta than some you may find in the stores. Check the ingredients before buying. This hold true even if your buying fresh pasta from a store. 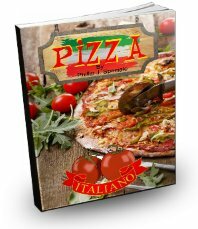 So within these pages, lets discover, enjoy and share the many pasta recipes that will create memories for the whole family. I'm sure these pasta recipes will keep you busy for quit a while. I hope you bought enough garlic. Before we get to the really good stuff lets start with delicious fresh pasta. This is one of the quickest Italian pasta dishes, yet one of the most delicious. Light and elegant, slightly creamy best describes my recipe for Capelli d'Angelo with Asparagus Sauce. Simply delicious. Stuffed with four cheeses and served with a wonderful hearty bolognese sauce. Great sauce made with mascarpone cheese. Old family recipe I'm sure you will enjoy. Creamy lasagna with cauliflower and ricotta. Creamy meat sauce made with four different meats. 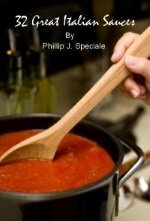 Delicious Roasted red pepper sauce for pasta or seafood. A delicious dish from Trattoria No.10's Executive Chef. Rich, creamy pasta to die for. Creamy pasta with fresh vegetables. Fresh tomatoes and grilled shrimp make up this delicious pasta recipe. Fresh tomatoes top this delicious potato gnocchi. Light summer meal with fresh clams and tomatoes. Tender tuna with bow tie pasta. A creamy sage sauce tops this gnocchi with broccoli and Portobello. A spicy tomato sauce tops this delicious stuffed cannelloni. Little ear pasta with delicious escarole. Delicious pasta mixed with Parmesan and ricotta cheese and topped with melted mozzarella. Medium sized shells topped with ricotta, tomatoes, capers, onions and mozzarella. Tender lamb ragu tops these delicious little gnocchi. Excellent rapini and sausage mixed with orecchietta pasta and red pepper flakes. Fresh tomatoes and basil make up this delicious risotto dish. Homemade spinach fettuccine with a creamy Gorgonzola sauce. One of Pavarotti's favorite pasta recipes. Spaghetti with chicken livers, garlic, onions and San Marzano tomatoes. Fresh vegetable lasagna is a great alternative to traditional cheese lasagna. Delicious pasta with tender baby artichokes and Italian cured ham. Cauliflower spiced with red pepper and sauteed with Italian bacon. Delicious baked pasta layered with meatballs, tuma cheese and gravy. Excellent cannelloni made with fresh basil crepes and stuffed with ricotta and spinach. Nothing is better with rigatoni than a delicious sausage cream sauce. Pasta with crab meat, pancetta, peas and cream sauce. A delicious combination of crawfish with Parmesan cheese filled tortellini. Delicious basil based sauce made with garlic, pine nuts, olive oil and cheese. Excellent pasta dish with the peppery flavor of arugula. A favorite pasta dish with red clam sauce . Creamy pasta dish smothered with fresh broccoli. Light and airy ricotta seasoned with fresh herbs over pasta. Pasta covered with a tasty eggplant sauce. Gnocchi with creamy pieces of ricotta topped with mozzarella. Spaghetti topped with baby spinach and cream sauce. Simple pasta with zucchini, cherry tomatoes and basil with a touch of mint. Wide noodles with tuna cream sauce. Tasty pasta with toasted pine nuts and shrimp. Great lemony combination of shrimp and artichokes. Creamy risotto topped with mozzarella cheese. Delicious mixture of sun dried tomatoes, cheese, almonds and basil . Tasty rigatoni with beans and fresh vegetables. Light fluffy boiled ricotta topped with basil tomato sauce. Fresh and tasty pasta dish. Pasta topped with tender pieces of Italian sausage and vegetables. Flaky Atlantic salmon mixed with pasta and a dill cream sauce. Delicious four cheese cream sauce covers this pasta dish. Simple spaghetti in garlic and oil. Melted fresh mozzarella tops this great pasta dish. Delicious pomodoro sauce blended with a cognac cream sauce. Pasta with chunks of pumpkin seasoned with nutmeg in a great sauce. Liguria pasta dish with a delicious pesto sauce. 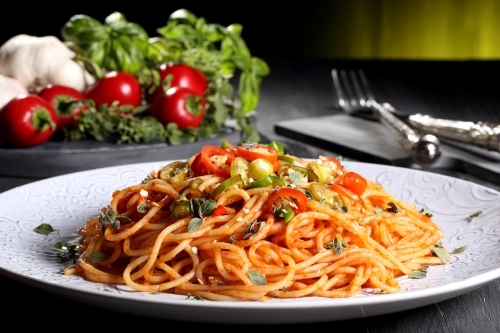 Healthy pasta recipe using whole wheat pasta. Creamy rice with exotic mushrooms. Fresh broccoli blended with butter,olive oil and breadcrumbs. Fresh herbs with homemade gnocchi. Tender beef in a Gorgonzola cream sauce. Finely ground meats seasoned and mixed with tomatoes and spinach and served over penne pasta. Layers of pasta filled with cheese and topped with meat gravy. Delicious pancetta sauce with pasta. Shells stuffed with ground meat and sausage. Layers of pasta filled with ricotta, tomatoes and spinach. Herb stuffed tortelloni with a creamy Gorgonzola cream sauce. Lemon, basil and Parmesan cheese top this delicious pasta dish. Nutritious spinach and Gorgonzola cheese top this pasta dish. Creamy mushrooms top this delicious pasta dish. Delicious pasta dish with roasted garlic and Italian radicchio. Fresh ricotta, spinach and tomatoes are mixed into pasta. Great pasta dish made with, Sicilian sausage, Kalamata olives, capers and tomatoes. Light fluffy gnocchi with a rich velvet cream sauce made with cheese and eggs. Great pasta dish with juicy mini-chicken meatballs, mozzarella and basil. Crisp and creamy gnocchi with cherry tomatoes and basil. Deliciously creamy rice with tender baby artichokes and Parmesan cheese. Traditional Easter Pie stuffed with delicious meats and cheeses. 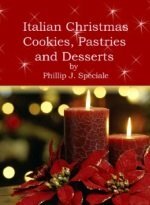 Easy to follow authentic Italian recipes with step by step photos.